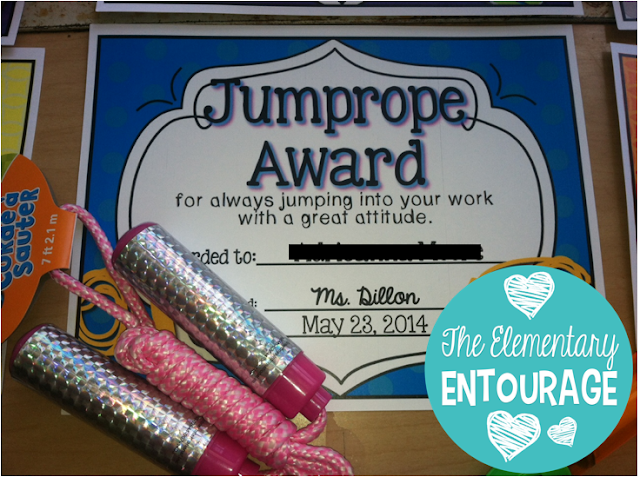 The Elementary Entourage: Ending Your Year with Student Awards! Ending Your Year with Student Awards! 2 more days... 2 more days! Friday is the last day of school. I know we all say that we are going to miss our students every year. I actually truly am going to REALLY miss my class this year! Last year was a creeper... it seemed to last forever. This year has flown by! This group of kids is so sweet... even the difficult ones are so darn cute you can't help but turn the other way and let out a little chuckle before you reprimand whatever they were up to! We are going to complete this quick and easy activity tomorrow between awards, cleaning up, and finishing up some other projects! You can grab up this FREE printable by clicking HERE... 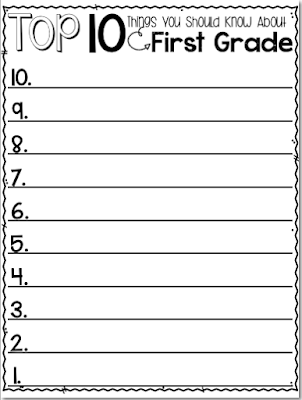 I have included sheets for Kindergarten through Sixth grade. 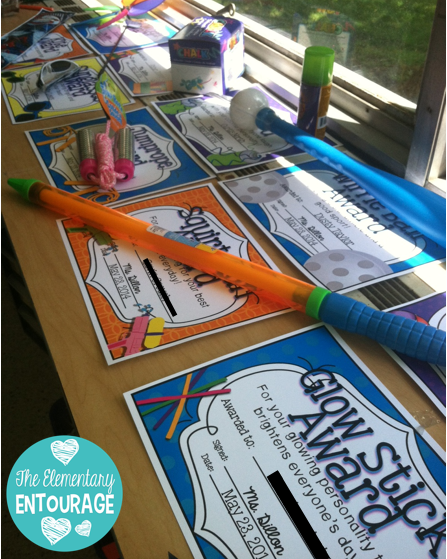 I'm sending them off with my summer fun awards... each award can be paired with an item that is found right now at Dollar Tree or any other dollar store. A dollar a kid.... can't beat that! Each award has a little saying to go with it that fits the personality of the child. You can grab up my Summer Fun Awards by clicking HERE or on the picture above! They also come in an editable form and in black/white... all in the same purchase! I hope you have a great ending to your school year! Ending the Year in Style in Kindergarten! Wrapping it up with Mrs. Grooms' Room! 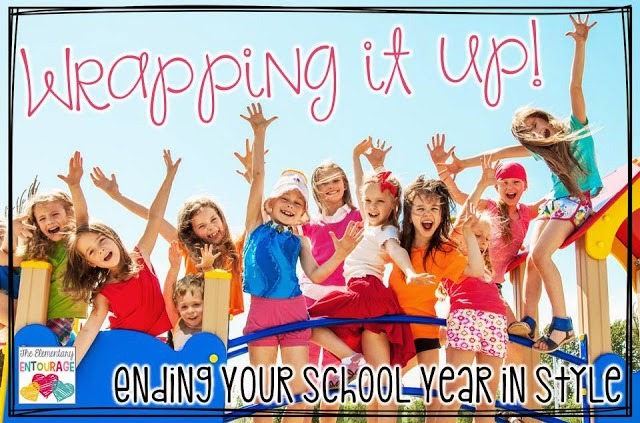 Tons of End of Year Ideas! Wrapping Up Your Year with Candy Awards! Celebrating America With Mr. Greg!